in the area of Public Policy and Research Analysis School, University of Pittsburgh. 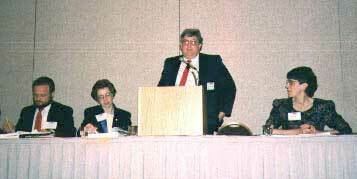 national meeting of the Academy of Criminal Justice Sciences, March 10 - 14, 1992. Kent State University, in the Department of Criminal Justice Studies. 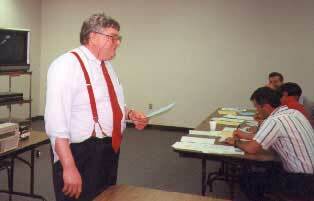 Professor Albert teaching a class. I have included my Ph.D. Comprehensive Examination - Public Policy and Research Analysis, PPRA, is a systematic, methodological approach to human problem solving. It deals with human problems within the framework of political decision-makers and must clamor for their attention as much as any other method of intervention, as well as meet certain guidelines expected of social science research (Lindblom). This process is complex and to decompose it in an endeavor to portray its functions may in fact limit one's view of the process. - and several other papers that I have written over the years. 6277 Riverside Drive, Dublin, Ohio 43017. In the summer of 1982 I spent the summer and fall at the Binghamton University, Binghamton, NY. Was in prison, sort off. working on a grant from the National Institute of Justice to improve correctional classification of inmates. I had to leave do to my diabetes.